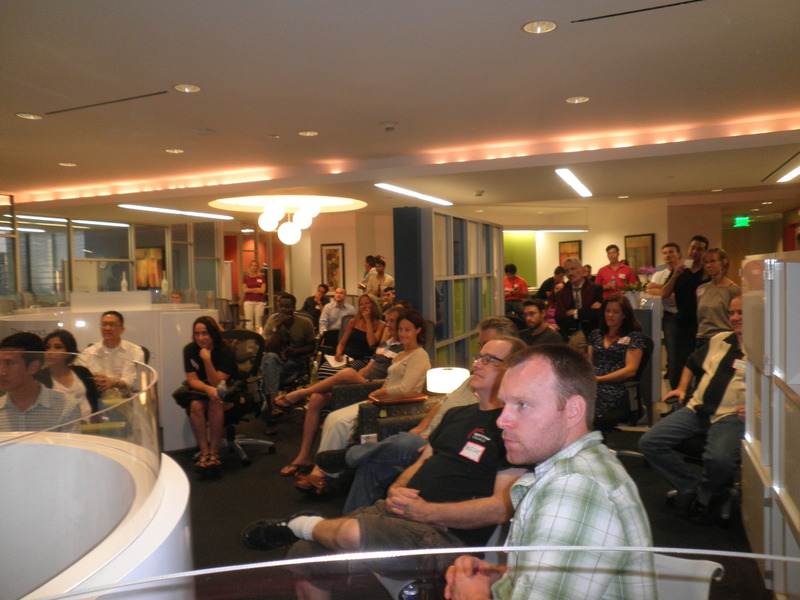 Santa Monica New Tech demo/pitch (#SMNT12) this Wed, July 24 is the must attend event at Cross Campus! 7 hand-picked startups will blow your mind with their vision and new technologies. And they will only have 5 min each! RSVP. Don’t you think that Twitter is ugly? See what Twitter missed! PulsoViral created a Social Wall for Events! It Integrates Twitter, Instagram, Facebook and Vine in a single page. Choose various beautiful skins and special effects, like videos, image playlist between social interactions and event on-screen advertising to generate a new source of revenue. You can quickly hide inappropriate content from showing it on your event. You can do stats and identify quickly how many people interact on your event, your viral and absolute reach on social networks and identify your key influencers. Do you own any virtual currencies? As platform and processing systems become more reliable, traditional merchants begin to adopt new forms of payment. CoinMKT, based in Santa Monica, is creating the world’s most reliable, efficient way for buying and selling cryptocurrency. They support Bitcoin as well as other alternative cryptocurrencies like Litecoin, PPcoin, TerraCoin and more. CoinMKT will show a sneak peek into the future! Come and see CoinMKT, the shaker and mover of the upcoming “The Inside Bitcoins Conference and Expo” of July 30 in New York City. Do you like to travel, but feel like it is too much hassle organizing and digging through endless options and still overpaying? What about affordable customized travel? It is Like Having Your Own Personal Travel Agent In Your Pocket. The mission is to make the lives of lazy sports fans even easier! Lifelong Laker fans David Rabie and Joe Sarafian hatched the idea for Draftpedia while ironically watching a Clipper game. Discussing Kenyon Martin’s historically dismal draft class, Joe wondered why fans still used Wikipedia to look up past drafts. 13 months later, Draftpedia was launched on April 17th. Content overload? Help is here! The explosion in user-generated text and content often results in costly or unreliable online moderation efforts and even worse – your best-written content hidden from view. With Synapsify you can discover critical content and create stronger messages. Through patented text analytics and search technology Synapsify have unlocked the DNA of language through the analysis of sound and metaphor in written language. So now, you can understand and curate your content like never before based on quality, credibility, themes and intent. It is groundbreaking, intelligent software that reads and analyzes with human-like qualities. Smarter content leads to a smarter world for your clients, partners and their customers. Your Social Life, Transformed! GonnaBe helps you see all of your options in one place – from specials, to events, to your friends’ plans. See into the future with temporal mapping. It’s like a crystal ball for what’s going on later. And it learns what you like, so now you’ve got a concierge for your social life. Don’t you wish to have a more personal and creative way to connect with the artists you love? 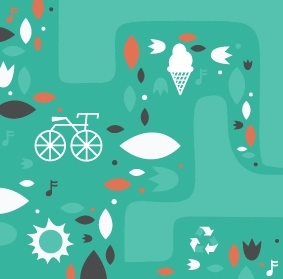 TwentyTwo is a community if artists and fans to share short audio clips. Artists can post clips to their followers, and fans can send clips back. Your relationships with artists are changed forever! This outstanding event will take place at Cross Campus, 820 Broadway, Santa Monica, on July 24, at 6:30PM with presentations starting at 7PM. Come learn the best of new technologies, ask questions and network! Fee: $5.50 PayPal online or $6 cash at the door, and drinks are included. 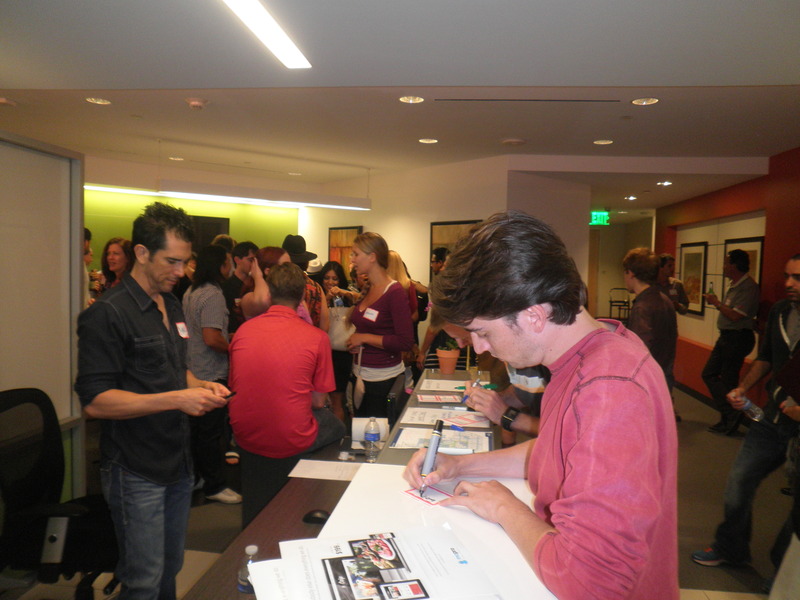 On July 15 we hosted our second networking #SMhub2 event at Regus. 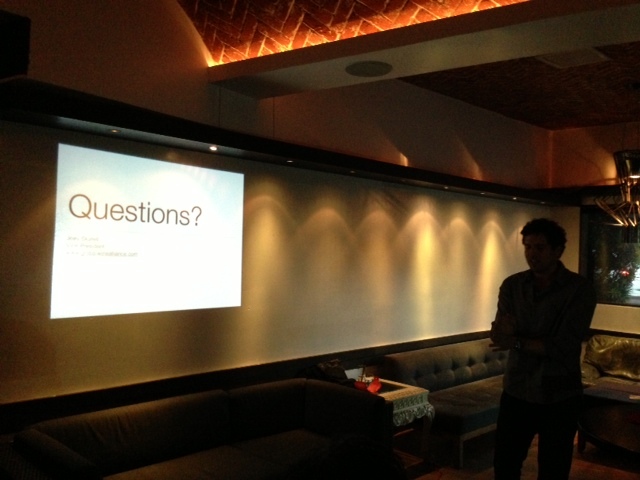 CJ Bruce from Newantics gave a talk about video strategy. AwardFantasy and Film Bundle told us about their film startups. More than 100 people networked in 3 groups: startups, film/video and social media. 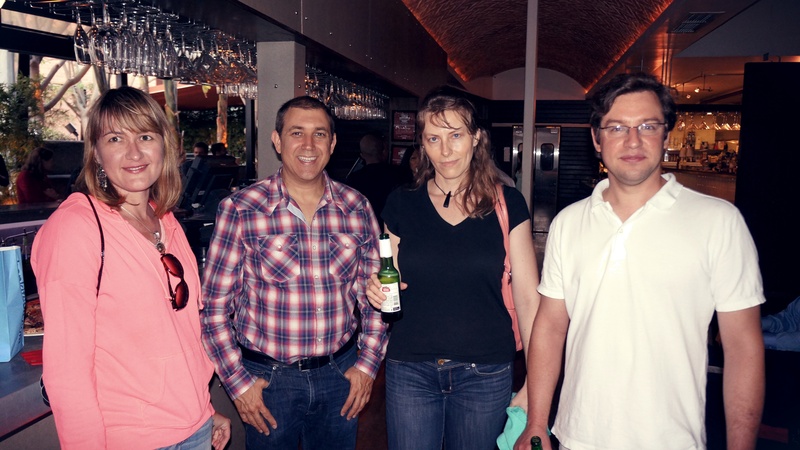 Thank you to our great sponsors: Regus for the venue, and Insperity and MoPro for beer! 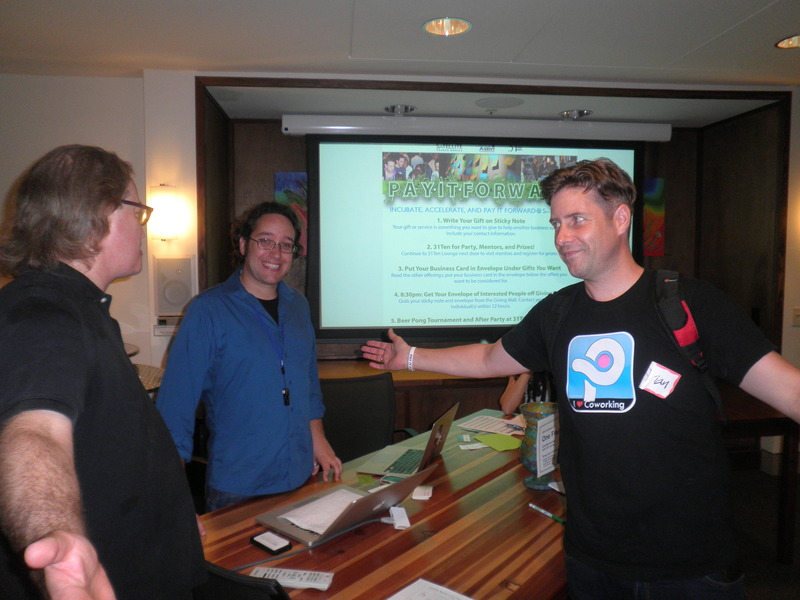 Our next pitch/demo event is on Wed, July 24 at CrossCampus! Your Office Agent organized another cool Pay It Forward (PIF) for Business event at the Satellite and 3110 Lounge in Santa Monica on July 1. PIF is about bringing the best companies in Santa Monica to give free advice and help grow small and medium sized businesses. It was the 4th PIF since Dec 2012, and it was Free of Charge. The focus has been from entrepreneurs to tech. 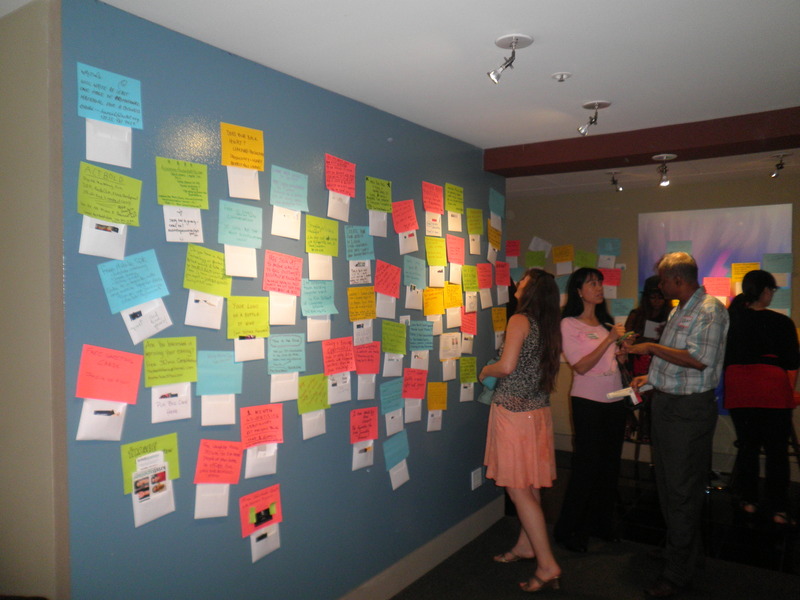 Every PIF has a giving wall, where people post their offerings to the community or just tell about their products and services. The Satellite provided an inspirational coworking facility and volunteers together with Your Office Agent team to keep it all simple. Firstly, people checked in in the back of 3110 main Street. There were easy to follow directions. After checking in, the first place to go was the 3rd Floor of Satellite to write gifts or offers on the giving wall. People also put their business cards into the envelopes under the other offers that they liked. The hosts at Satellite had lemonade for all to give. After the giving wall participants proceeded to 31Ten Lounge downstairs to speak to the mentors and enjoy the giving environment. From 8.30 to 9pm those who posted offers picked up their envelopes from the third floor and either went home or back to 31ten, where they continued with happy hour drinks and had three separate free beer promotions and played beer pong. Mentor Prizes and assistance were valued at approximately $20,000 at the event. There were also offers from other companies: Asure Workspace Software, Swedish Chamber, Microsoft, and others, all there to give and connect. 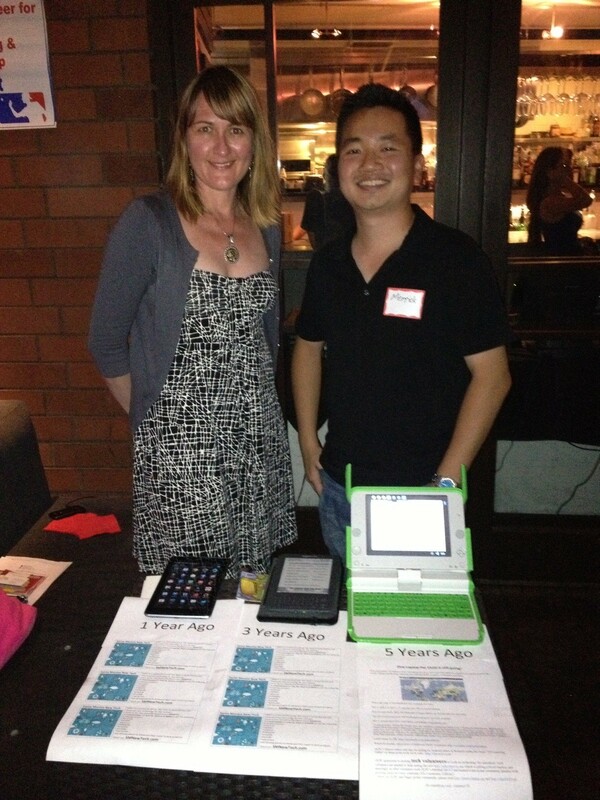 Santa Monica New Tech also had a table and invited all attendees to our events. We had a display of technologies from 5 years, 3 years and 1 year ago. We told about volunteer oportunities in tech (ex. One Laptop per Child Update 2013). Our offer was one free ticket to our demo/feedback event on July 24 for those who stopped by our table at PIF4! 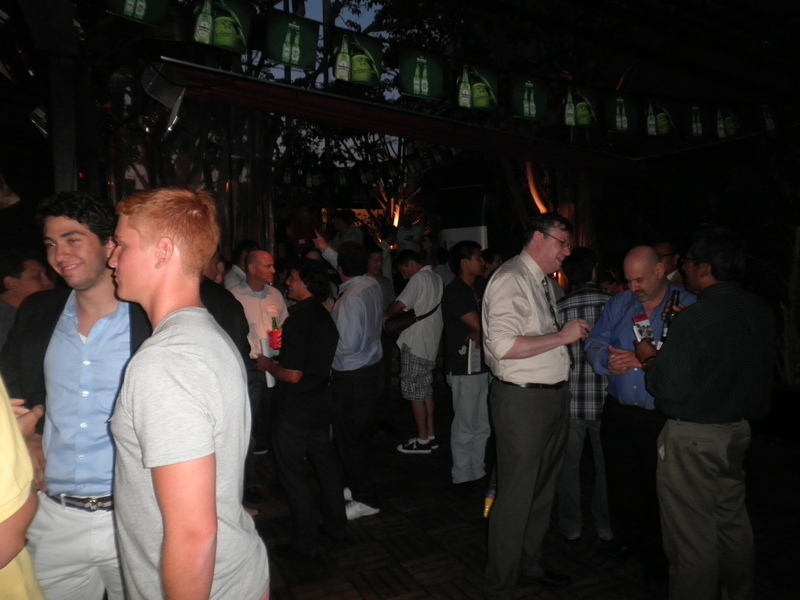 It was a vibrant networking environment. Thank you to all 450 people for paying it forward! Susan Arete from Elance.com organized a great info session about the company last Friday at 3110 Lounge on Main Str in Santa Monica. 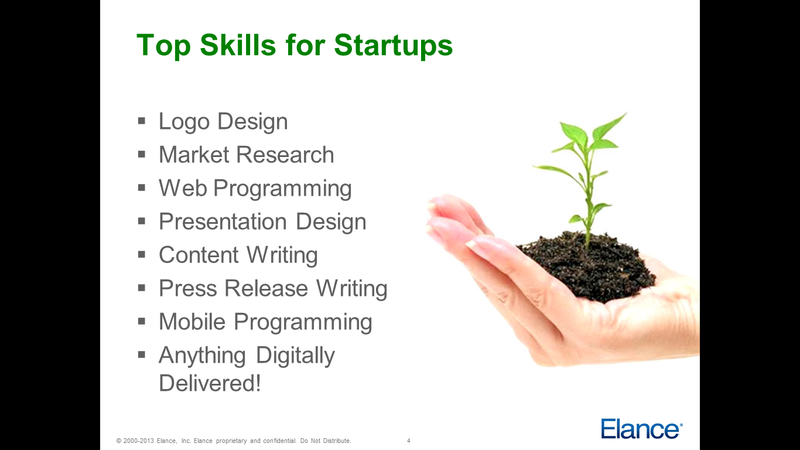 She gave a short presentation on what Elance is about and why Elance loves startups! “Startups have always been lean by necessity. When budgets are slim or nonexistent and founders are bootstrapping their companies, it pays to keep costs under control. Many startup entrepreneurs are torn between wanting to hire quickly in order to scale up the business, while wanting to be cautious about keeping payroll in line with revenue. Indeed, two startup founders shared their experience with attendees on how Elance helped them find freelances: service providers and talent. If you have any questions or would like more information about how Elance can help your business, please get in touch with Susan.